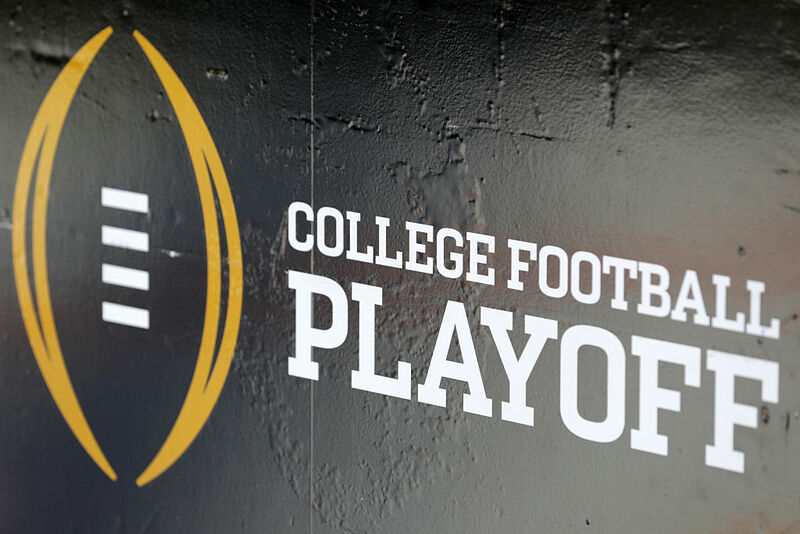 The College Football Playoff selection committee has added three new members to partake in the task of selecting the top four college football playoff contenders next season. Retired Virginia Tech head coach Frank Beamer, Ohio State University athletics director Gene Smith, and Robert Morris University and former Air Force running back Chris Howard will fill out the selection committee. All three are solid additions to the staff, and one of them just so happens to be a previous Twitter target for Michigan head coach Jim Harbaugh. Last year, Harbaugh ignited plenty of opinions and criticisms by taking Michigan’s spring football practices down to Bradenton, Florida to setup camp at IMG Academy. It was a bold and innovative strategy for Harbaugh, but Smith was just one of many to express some opinion on the idea. Smith took a light-hearted jab at the rival school by suggesting Michigan was looking to jump-start its program (it was) and suggested Ohio State would consider doing so if the Buckeyes were in a similar position (which they have not been in for years now). Rivals will be rivals, of course, and this quote clearly did not manage to sneak by Harbaugh without a retort. You know, the more I think about it, the more I think you can draw comparisons to how Harbaugh and Donald Trump use Twitter. They both use the forum to respond to critics, and Harbaugh even closed this particular tweet with a brief phrase and an exclamation point. Of course, Harbaugh didn’t win in Ohio yet, so perhaps the comparisons can stop right there. But back to the point here. Should there be any concern about an Ohio State guy being on the selection committee for Harbaugh and Michigan? Simply put, of course not. That said, that won’t stop the possible talk about a conspiracy against the Wolverines, who still feel burned over a controversial fourth down call in last season’s meeting in Columbus, from suggesting Smith may be doing all he can to block Michigan from a possible spot in the playoff should the Wolverines be a legitimate contender for a playoff spot. Selection committee members are required to recuse themselves from the playoff rankings and discussions when their associated school is involved in the discussion, but they are not required to do so when a school’s rival is being discussed. If we are to believe the committee acts in the best interests and without bias when making their decisions, then there should be no concern over how Smith will use his voice in the meeting room, even for Michigan fans.